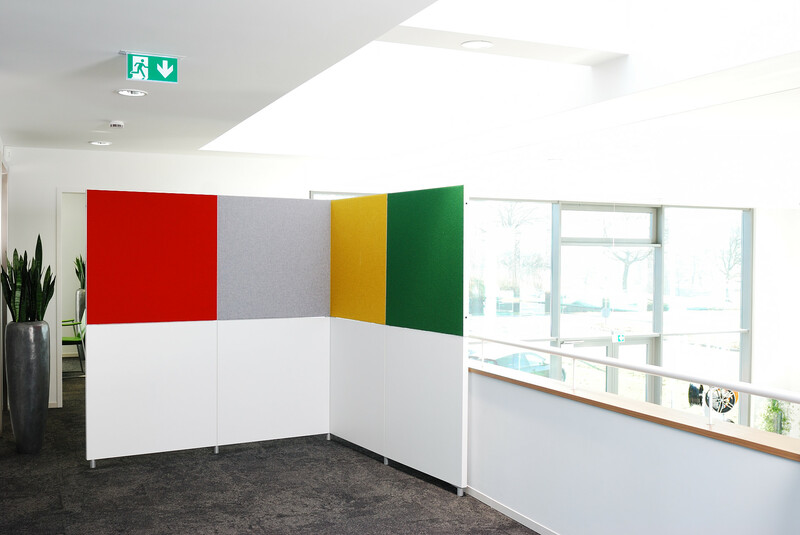 Mobile and flexible office partition walls make the acoustic separation of workplaces where people talk and phone a lot easy (e. g. open-plan offices, call centres, planning departments). The requirements may differ depending on the interior design. 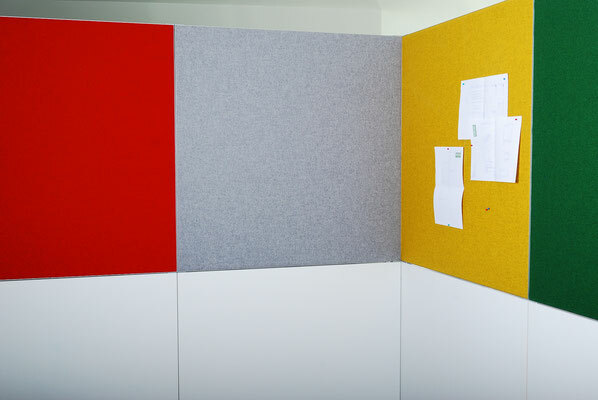 It must be considered here whether the rooms need sound absorbers to correct the reverberation time or whether the direct sound transmission shall be interrupted. 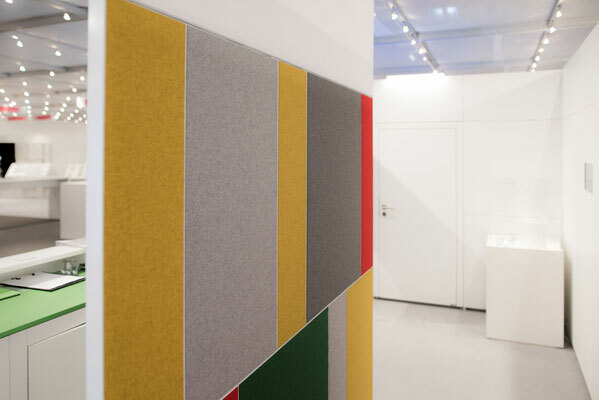 To be able to offer our customers holistic concepts and sustainable room acoustic solutions, we co-operate with the company Leitex Services from Welzheim. 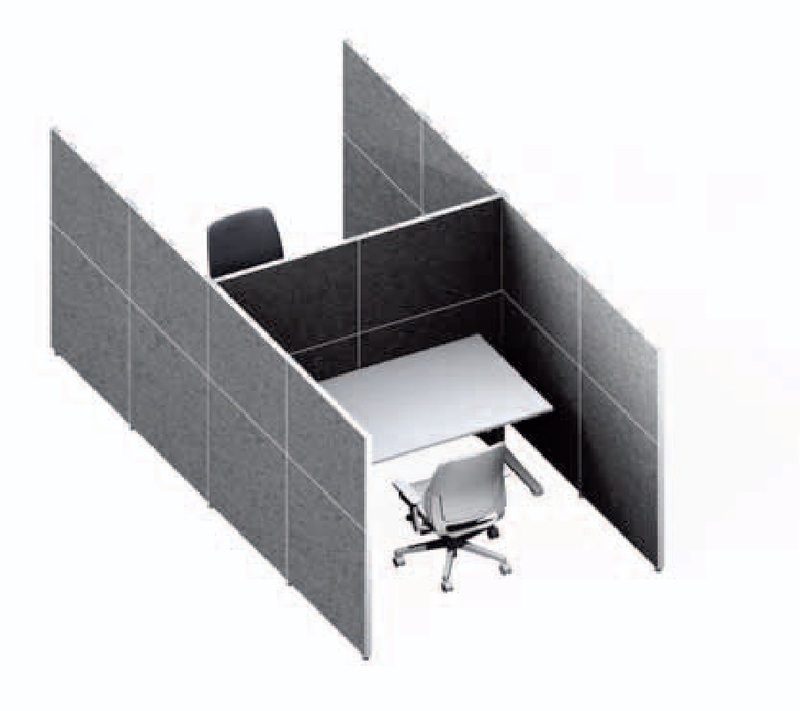 Silenzio 4.0, the innovative acoustic partition wall system, offers manifold possibilities for you to section rooms simply, flexibly and effectively. The partition wall system prevents both talking noise and distracting sounds from spreading. 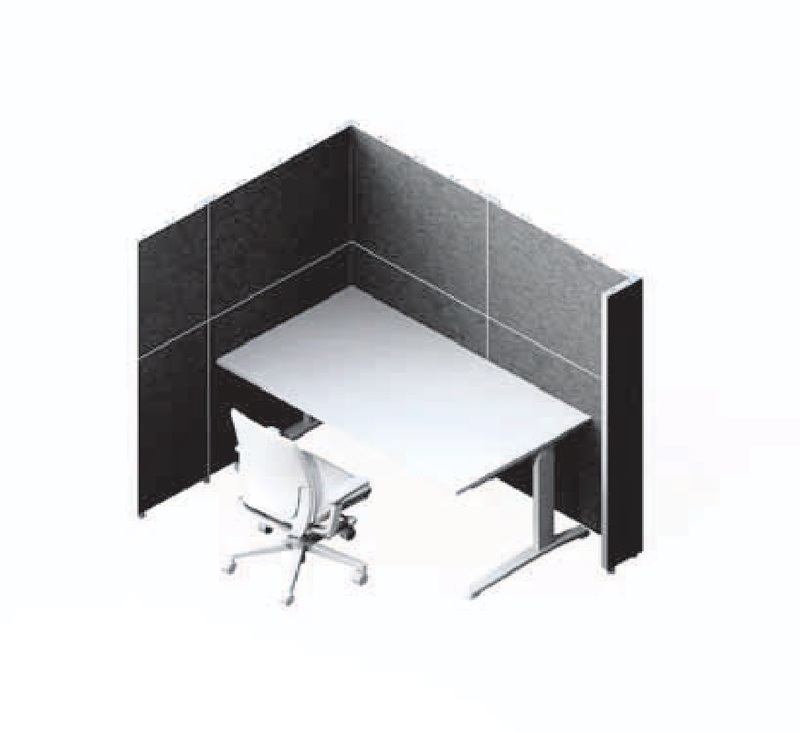 It efficiently optimises the acoustic separation of room areas. 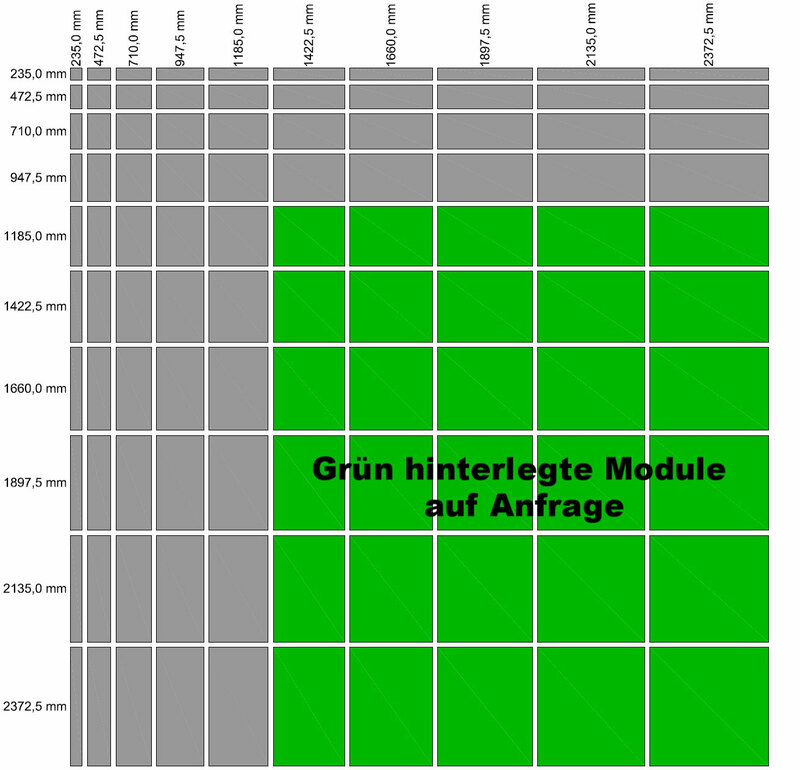 The modular principle is based on a modular grid of 235 mm. 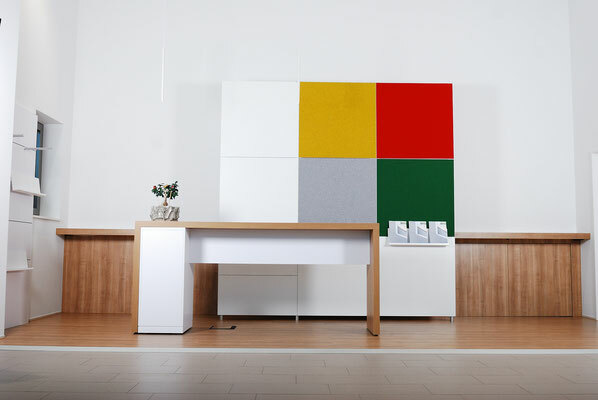 The individual elements are plugged together like toy bricks - easily as child’s play! 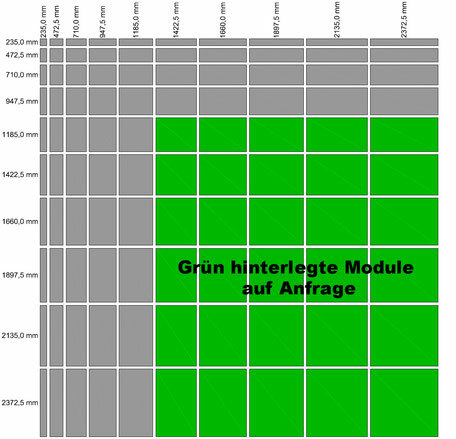 The square base element with a size of 947 x 947 mm has an underlying installation grid of 235 mm. 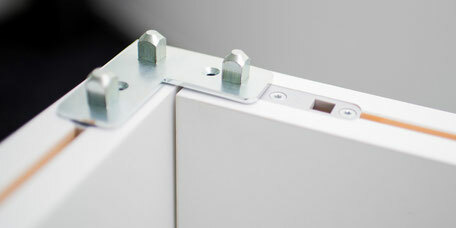 The hidden connecting elements made of steel and the narrow joints with a width of 2.5 mm emphasise the high value of the system. Click on the right picture to see the available sizes. 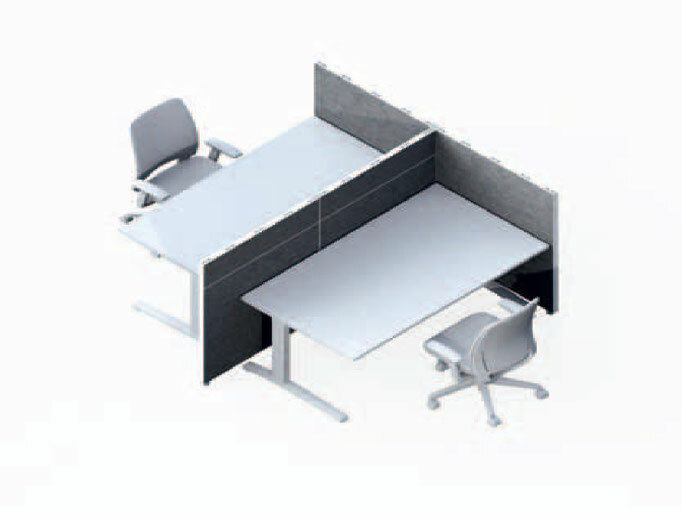 Your mounting costs will be lowered effectively, as the system can be assembled very quickly without using any tools. This is owing to the hidden plug connectors made of steel, which interconnect your elements in the system. 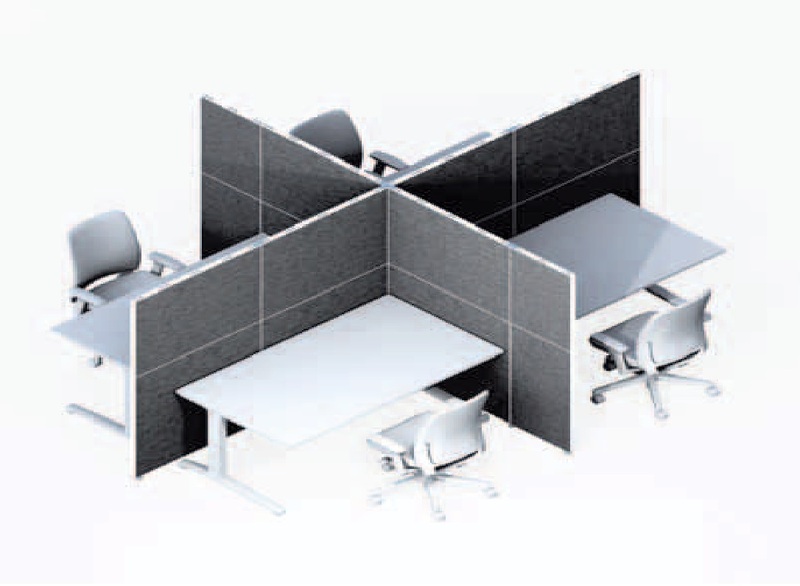 Your presentation areas can be set up, adjusted or expanded in the short term – even during operation. The system assembly is self-explanatory and can be completed by your employees without extensive instruction being necessary. The base elements of the Leitex 4.0 presentation system are 40 mm thick light-weight structural panels. Your handling costs for placing them into or retrieving them from storage, during transport and mounting are minimised – your advantage. 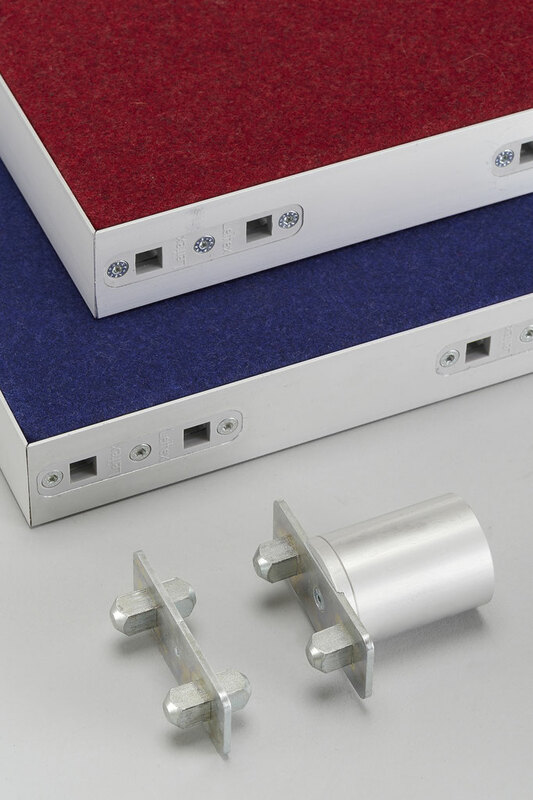 Stepless height adjusters made of aluminium enable an effective compensation of floor unevenness. This reduces your mounting time.